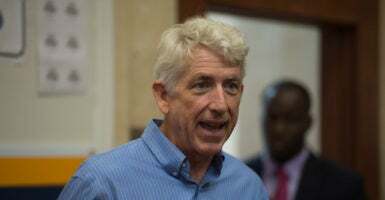 The Lee County School Board decided earlier in July to arm teachers in its 11-school, 3,200-student school district, but faces backlash from Virginia’s Department of Education and attorney general, according to The Washington Post Wednesday. The board believes 50 out of Lee County’s 700 school employees will be responsible for concealed weapons in September after going through psychological evaluations, background checks, and summer training. Virginia state law forbids the presence of firearms on school property, but the Lee County School Board will attempt to classify the armed employees as “conservators of the peace” to gain exemption. Fourteen states have armed teachers and 16 more states give school boards discretion over arming teachers as of March, according to VICE News. Virginia is not listed as one of those states.